Jim and Nunzie wouldn’t have it any other way. For many builders, working directly with clients is merely practical. For Jim and Nunzie, co-owners of Jim Guild Construction, collaboration is the heart and soul of every single project. So, when the pair says that “any home crafted without the careful input of both buyer and builder is not a Jim Guild home,” they mean it. This isn’t new, Jim began building in 1976 and and has been building in Central Oregon since 1979. For decades, Jim and Nunzie have dazzled Central Oregon with sustainable, long-lasting, artistically breathtaking homes. Their collaboration started 20 years ago, when the two met for the very first time, thanks to their strikingly similar last names – Guild and Gould. Soon after meeting, they realized that they shared a few other things in common – a love for natural resources, a passion for sustainable homebuilding materials, and the unwavering drive to make each home they build infinitely comfortable and livable. 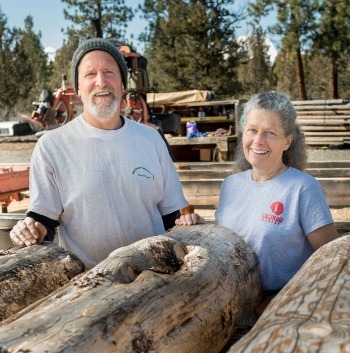 They are active members of The Environmental Center of Central Oregon where Jim serves on the board. Thanks to their shared values, each Jim Guild home contains top-quality, eco-conscious materials that withstand the test of time. Jim Guild sub-contractors are not just skilled, they’re masters of their craft, whether their specialties are masonry, landscaping or sculpture. Since their first collaboration, Jim and Nunzie have done remarkable work. Their restoration of the H.J. Overturf home on Congress Street earned high praise from industry insiders, and their Deschutes River Ranch Home won six of the eight possible honors from the 2012 Central Oregon Tour of Homes. The Guilds will continue to build their legacy with their latest project, Saginaw Sunset, a small community of sustainable, comfortable, stylish homes designed to last for hundreds of years. Like all their award-winning properties, each Saginaw Sunset home will be the successful byproduct of buyer and builder passion. Jim and Nunzie believe that homes must flow. 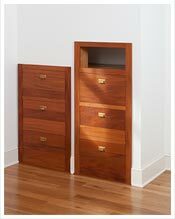 Much consideration is given to connecting the inside and outside experience for the homeowner. Architects call this good proportion; homeowners call this amazingly wonderful. Before designing a home, the two partners think about the comfort of multiple generations and people’s changing needs over time. Before drawing a room layout, they think about what needs to happen in this “space.” With this insight, comes exceptional attention to detail that adds greater comfort and livability in the home for all. 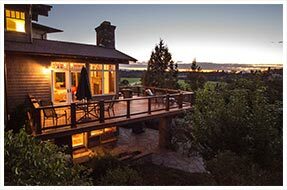 In 2012, their home in Deschutes River Ranch won Best of Show for Central Oregon’s Tour of Homes, along with five other recognitions: Best Feature, Best Architectural Design, Best Value, Best Interior Finish, and Best Landscape. In addition to these awards by the Builders Association, they have received awards from the City of Bend for Bend beautification work, and 6 awards from the Association of Realtors for Building A Better Central Oregon. Chat with us about your new project.